Medical assistants are a vital part of any hospital or clinic. These individuals are cross-trained to handle everything from assisting nurses with clinical duties, to performing important administrative work. Medical assistants (MA) often help administer exams, conduct lab tests, draw blood, collect specimens, and take electrocardiograms. They also have extensive administrative duties such as filing medical records, bookkeeping, manning the front desk, and working with patients’ families. With so much to do, it is no wonder we are seeing exponential growth in the medical assisting field. The MA career is growing in more ways than one. According to the U.S. Bureau of Labor Statistics, the demand for high-quality medical assistants is projected to increase by 29 percent from 2016 to 2026. This is due to a variety of factors, including the aging population, increased average lifespan and the growing demand for more healthcare facilities and workers to support them. Fortunately, new advancements in technology are changing the healthcare field for patients and staff, making it more exciting than ever to be a medical assistant. Technology is utilized across every modern-day career field, and healthcare is one of the most essential industries of all. Doctors and engineers are constantly researching and developing new medical technology to improve patient outcomes. Here are some of the new advancements in medical technology that will expand the roles of medical assistants. Electronic Medical Records have revolutionized the way the healthcare system is able to track data and treat patients. Not only do electronic medical records help hospitals, clinics and physicians keep easily-accessible, clear information for each for their patients, but sometimes patients are able to access their own medical data from their personal computer or smartphone via an online portal. 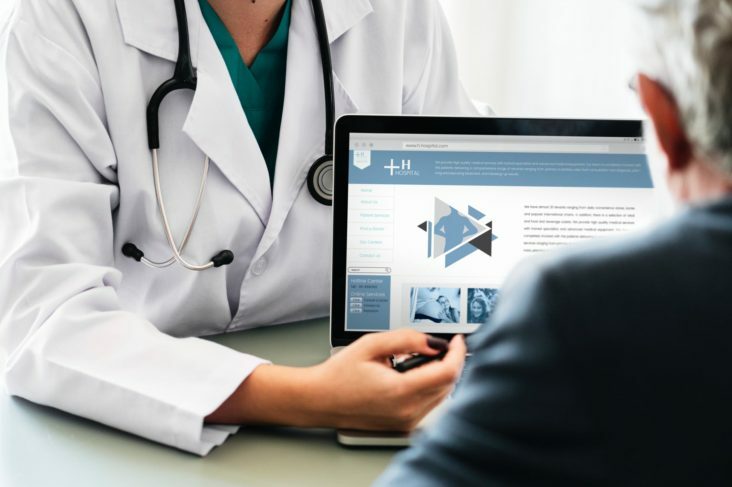 Now, everyone involved with the patient can quickly access and review his or her medical history before an appointment and easily share with other doctors and hospitals if needed. Medical assistants are often responsible for making sure all patient forms and medical histories get transferred into the computer as electronic records. Smartphones and mobile devices can be used for just about everything these days, including tracking patient wellness. Patients are now able to record their health data in real time to report to their physician at their next appointment. This can come in the form of tracking steps from day to day, recording calorie intake for weight loss or keeping up with blood sugar levels. There are even some implants, like the InterStim that allows those with incontinence to control the device from their mobile app. This creates new opportunities for healthcare providers to utilize the records included in these apps and also supply additional information to the patient. Medical assistants may even be assigned with teaching patients how to use certain apps more efficiently in order to better improve their health and wellbeing. According to an article in Forbes, over the next few years, the medical field will continue to see huge developments in technology, including growth in A.I. and computing software that can assist in patient care. Already, more and more new software is being developed that can help diagnose diseases using data that has been collected over time. This software may also be able to assist in disease control and prevention. All of this new technology and software that becomes available will require medical assistants to learn and adapt to new practices. While the software will surely make patients and healthcare professionals’ lives easier and safer, it will take time to adjust to the new programs. Now is an exciting time to become a medical assistant. With all of the new technology becoming available to clinics and hospitals across the country, medical assistants have the chance to stay on the cutting edge of the healthcare industry and hone their skills to become valuable assets to the workplaces. Get your MA career started with Woodruff Medical today.